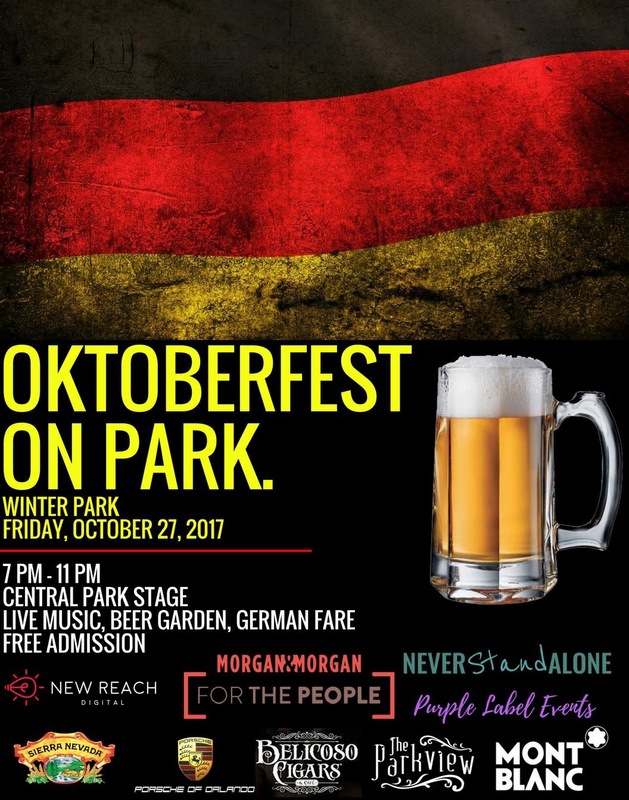 After several Oktoberfest celebrations have taken place throughout Orlando, the best is yet to come this Friday Oct 27th when Oktoberfest On Park takes place in Central Park, Winter Park. The collaboration with The Parkview and the Never Stand Alone Foundation will make for a great night whilst supporting a great cause. Dust off your Lederhosen and yodel on down- see you there!